You guyyzzzzzz! 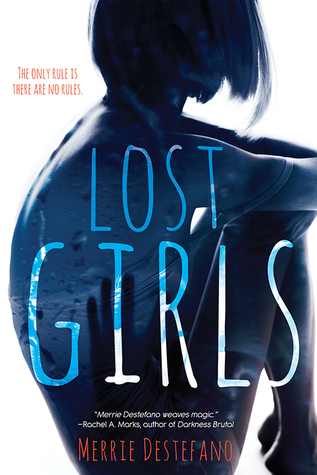 I just started reading Lost Girls by Merrie Destefano and I’m totally loving it! So I’m thrilled to host Merrie today about being scared. Here we go! 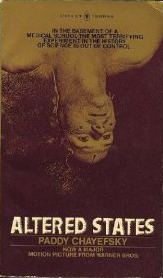 I read Altered States by Paddy Cheyefsky when I was in my early twenties and I don’t know if I’ve ever read a book that terrified me more. To most people, it’s a science fiction/horror story where the premise is, what if someone combined sensory deprivation research with psychoactive/experimental drugs and it caused a biological devolution. I think this is the book that scared me off altered reality for the rest of my life! It’s been a long time since I read the book, but what I remember is that, as a result of the research he was doing, the main character—Jessup—began to change into a primitive man, probably a very distant ancestor of man. But wait, there’s more… Jessup kept doing the same experimental research and ended up going back further in time until he became some sort of primordial goo. (Oh, help, just rip my skin off, this is so scary!) And if that wasn’t terrifying enough, let’s just take that premise One Horrible Step Further… Emily, the main character’s ex-wife, reaches into the maelstrom of what’s left of Jessup, takes him by the hand and … Wait for it … She starts to get pulled into the primordial goo too. At this point, I’m not just ripping off my skin. I’m pulling out my hair and stabbing myself in the eyes with a fork. Make it stop, just make it stop. I should probably explain that at that point in my life I suffered from acute panic attacks that had not gotten under control. They’re much better now, thankfully. But this book felt like a trip to Hell. Most people would say ‘a trip to Hell and back’ except I don’t remember this book as having a good ending. In my memory, this was what would happen for the rest of their lives. Jessup would slip into the primordial goo, Emily would have to go into that horrible-never-should-have-been-invented-world and pull him out. But every time she did, she got pulled into it too. I guess I’ve learned to be able to write things I’m afraid of from this. But I’ve also learned that I don’t have to expose myself to ideas/stories/movies that make me feel like my skin has been ripped off. I do my best to stay away from altered reality (I’m talking about YOU Inception and Doctor Strange.) I need my happy ending to survive. Yes, you can take me to Hell in a movie/book, but you best bring me back in the end. Soooo, ummmm, I guess I can expect a happy ending in Lost Girls? Cause I’m kinda creeped out right now, I’m not gonna lie. Yesterday, Rachel went to sleep listening to Taylor Swift, curled up in her grammy’s quilt, worrying about geometry. Today, she woke up in a ditch, bloodied, bruised, and missing a year of her life. She doesn’t recognize the person she’s become: She’s popular. She wears nothing but black. Black to cover the blood. She’s not the only girl to go missing within the last year…but she’s the only girl to come back. She desperately wants to unravel what happened to her, to try and recover the rest of the Lost Girls. 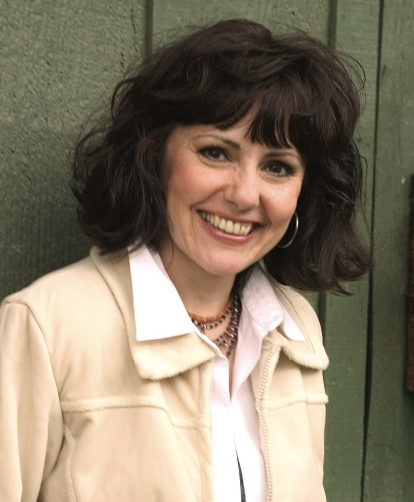 Born in the Midwest, magazine editor Merrie Destefano currently lives in Southern California with her husband, two German shepherds, a Siamese cat, and the occasional wandering possum. 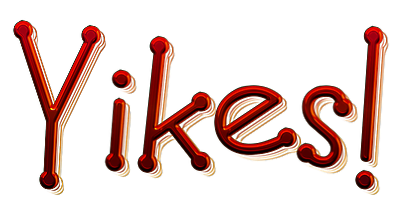 Her favorite hobbies are reading speculative fiction and watching old Star Trek episodes, and her incurable addiction is writing. She loves to camp in the mountains, walk on the beach, watch old movies, and listen to alternative music—although rarely all at the same time. 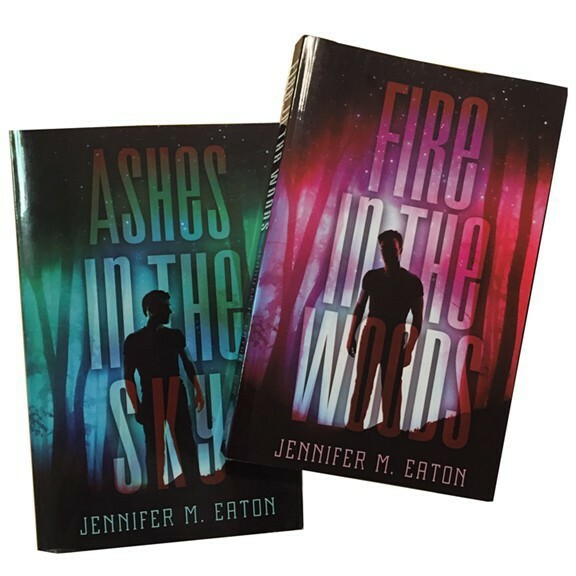 This entry was posted in Author Interview and tagged altered reality, altered states, doctor strange, inception, jennifer eaton, jennifer M. Eaton, Lost girls, Merrie Destefano, panic attack, primordial goo, Scared. Bookmark the permalink. I’ll watch some movies which scare me to hell, but I cannot read the same books. The written word is more graphic somehow. Still, this has a certain allure. I think that’s because what your mind creates is more vivid than what can be portrayed on the screen. I think that is why many great books don’t translate well into movies.